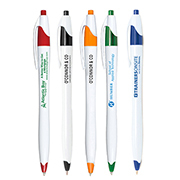 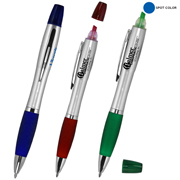 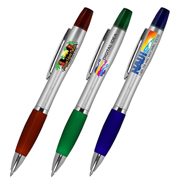 Economical and useful, promotional plastic pens are the go-to marketing tools of most businesses. 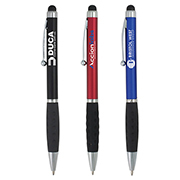 They are branded with the corporate name or logo to boost brand visibility and recognition making them excellent business giveaways at any event or occasion. 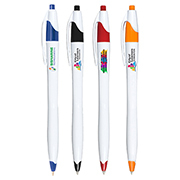 Our collection of personalised plastic pens here at Innovation Line showcases different styles, colors and features. 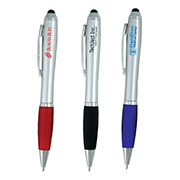 We have simple clickable plastic pens with rubber grips for convenient writing as well as promo pens hanging from a lanyard. 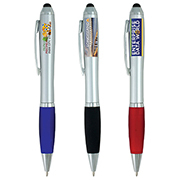 Each one is made from premium ABS plastic and customised thru Spot Color or PhotoImage color print process. 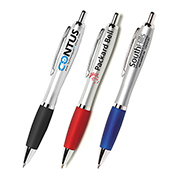 Product comes with Black ink only. 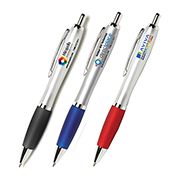 Innovation Line’s experience and expertise of the industry guarantee customers with the best online shopping experience. 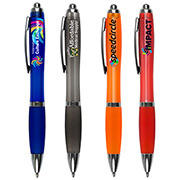 We are proud of our solid reputation for being a top online supplier and you can depend on us to meet all your needs. 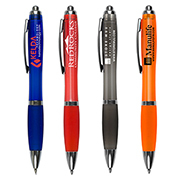 Call us today for any inquiries.